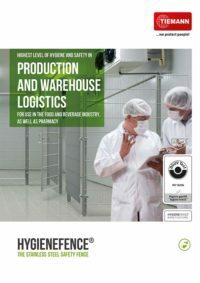 When it comes to logistics and production processes, we offer an ideal range of products at exceptional value for money. 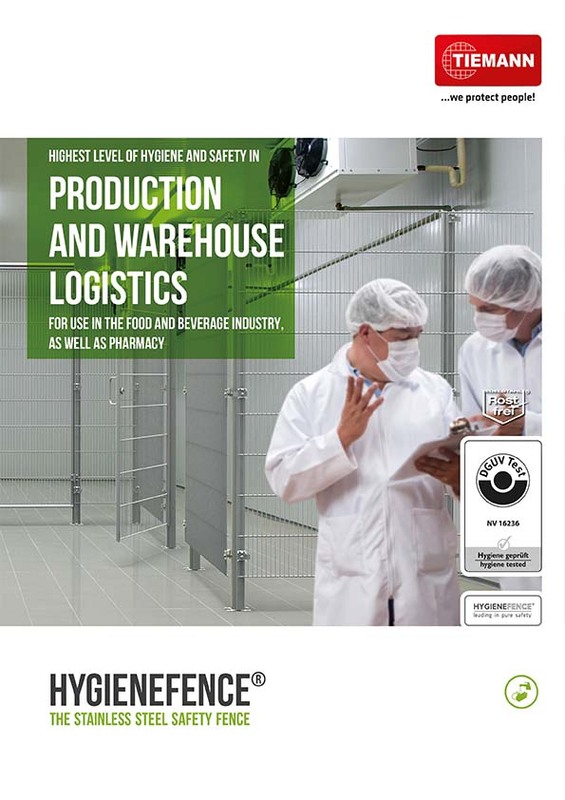 Our product lines feature a whole host of solutions for establishing safe distances to ensure people stay protected. 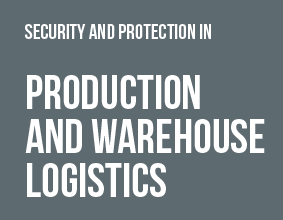 Our products are designed to live up to the requirements for guards used in warehouse logistics processes, not to mention a range of other applications. 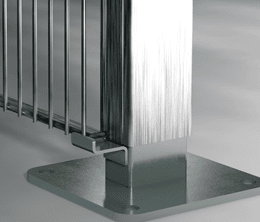 Their outstanding flexibility is enhanced further still through the use of frameless protective mesh elements. 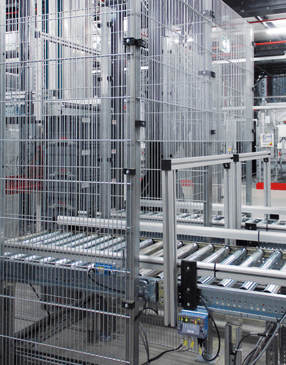 Flexible mesh customisations and releases can even be incorporated on site. 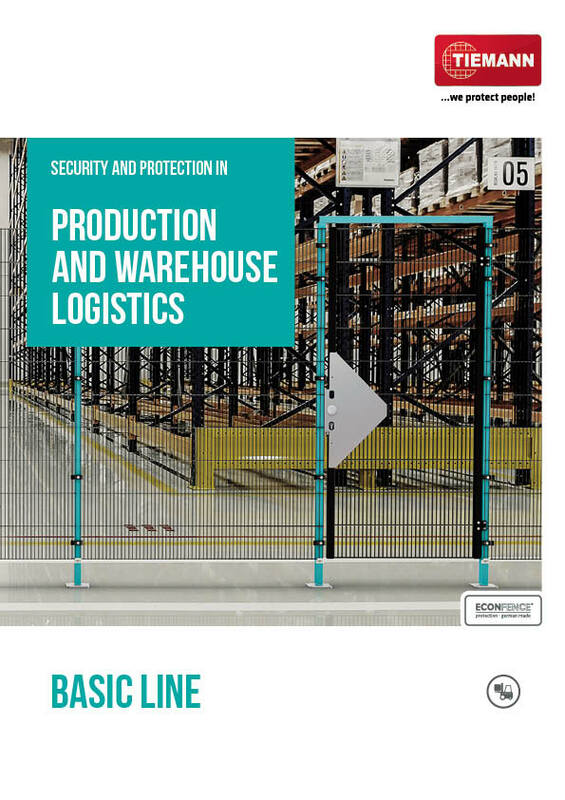 The ECONFENCE BASIC LINE ZINC protective fencing system is designed and structured to comply with legal requirements and can be used wherever flexible safety is paramount. 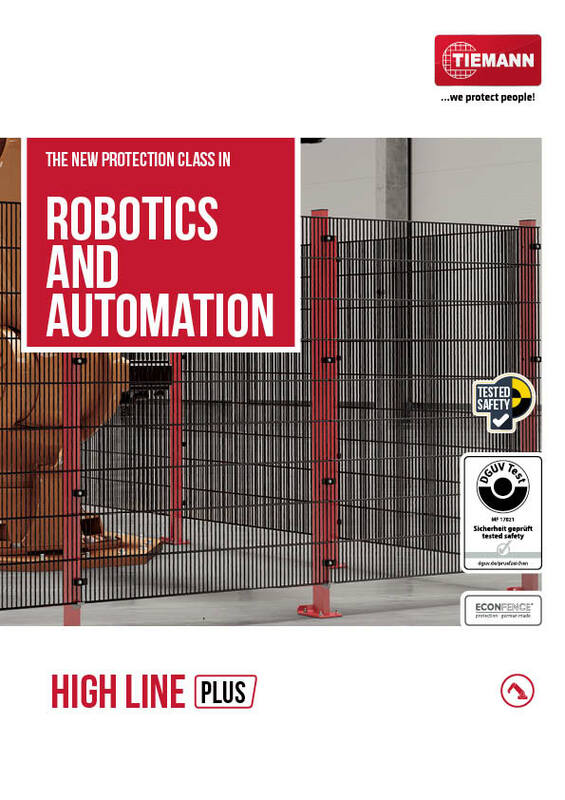 This design features robust mesh elements and posts to ensure reliable protection of production staff with a tested impact energy of 950 joules. 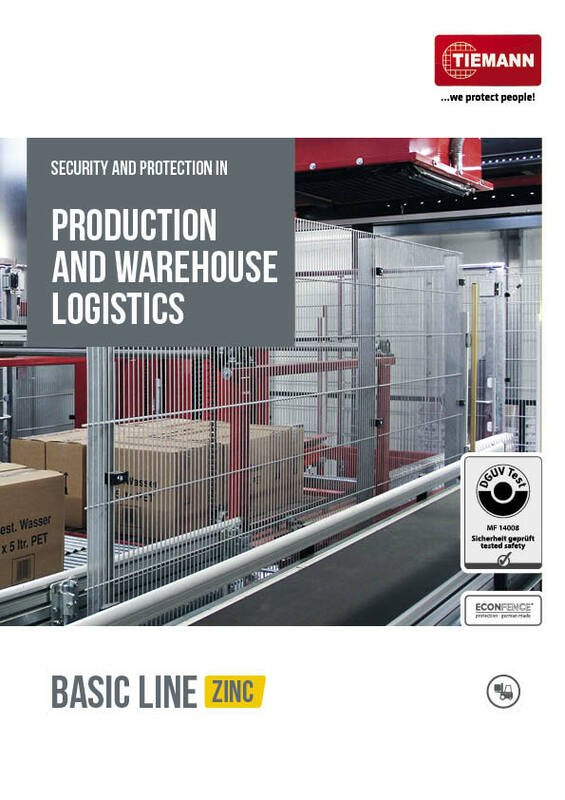 The ECONFENCE BASIC LINE ZINC protective fencing system is designed to establish a fixed, safe distance to protect people from coming into contact with hazardous machinery and facilities. 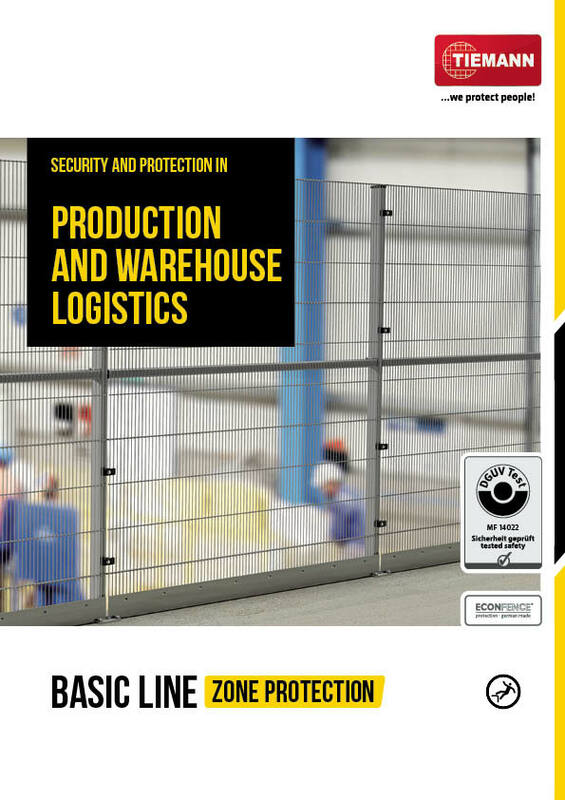 The ECONFENCE BASIC LINE Zinc protective fencing system incorporates galvanised flat-rod mesh elements. 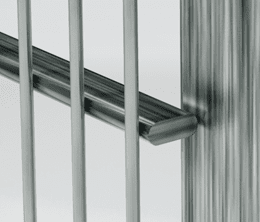 The intersections of the frameless mesh construction are spot-welded and incorporate a 15/6 mm flat rod and a vertical wire on one side measuring 3.5 mm. It also makes use of an essential post profile to achieve its load capacity. 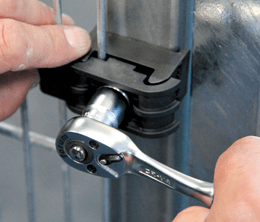 What’s more, the mesh fixing is secured using a high-strength plastic clamping element. 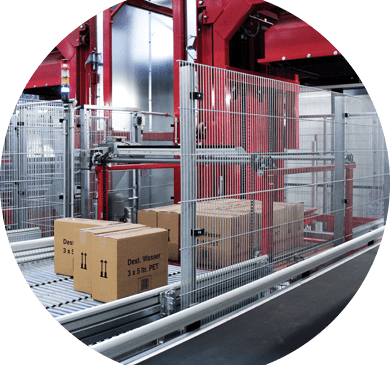 The frameless mesh construction is precisely what makes our protective fencing system so cost effective. This is what gives the product its crucial competitive edge, setting it apart from other mesh products with a frame-based design. Flexible mesh customisations and releases can be incorporated on site in no time. Extensive planning effort is a thing of the past. All in all, the company’s own ECONFENCE® brand is the ideal starting point for technologically advanced solutions that are extremely cost effective. Enjoy the benefits of our certified protective fencing systems. 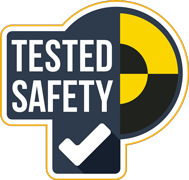 Exceeding conventional standards, all of our products are subject to internal testing, including a pendulum impact test according to ISO 14120. 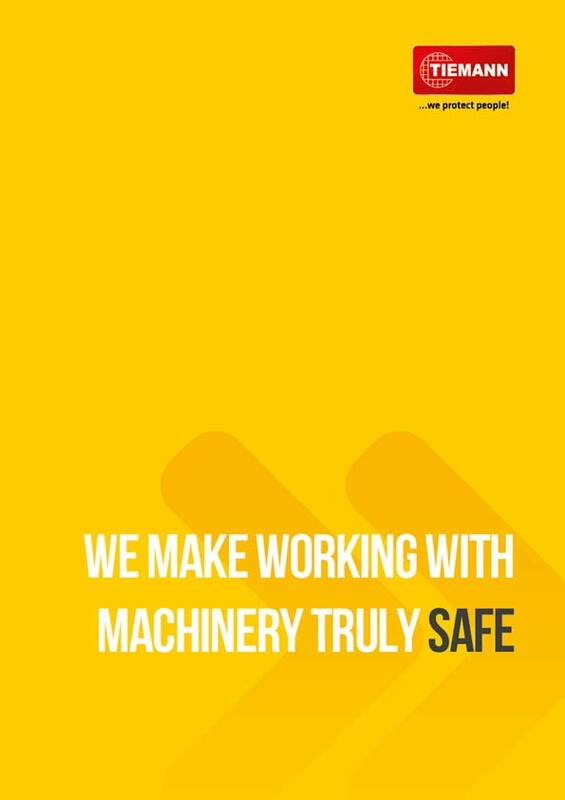 At TIEMANN, our aim is to go beyond normative requirements in terms of load capacity and raise the bar for safety standards. 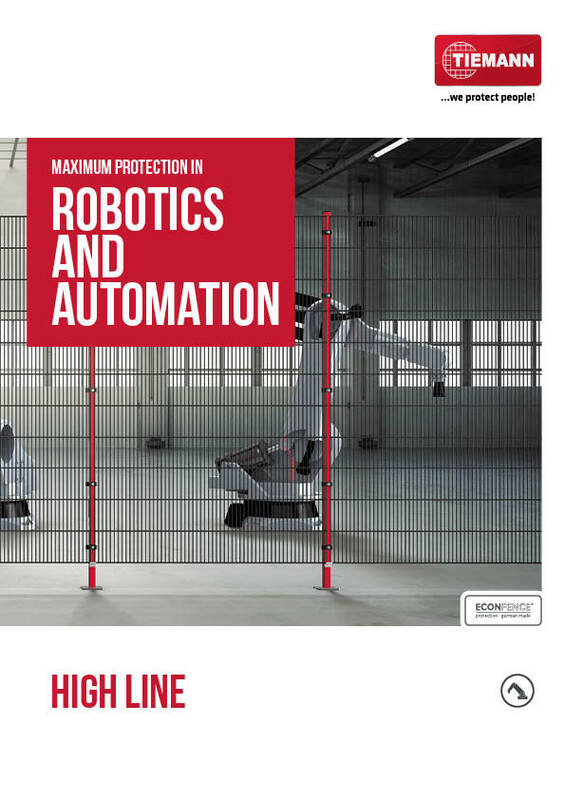 TIEMANN has the leading reputation, highest levels of expertise and a real wealth of experience within the automotive and robotics industries. 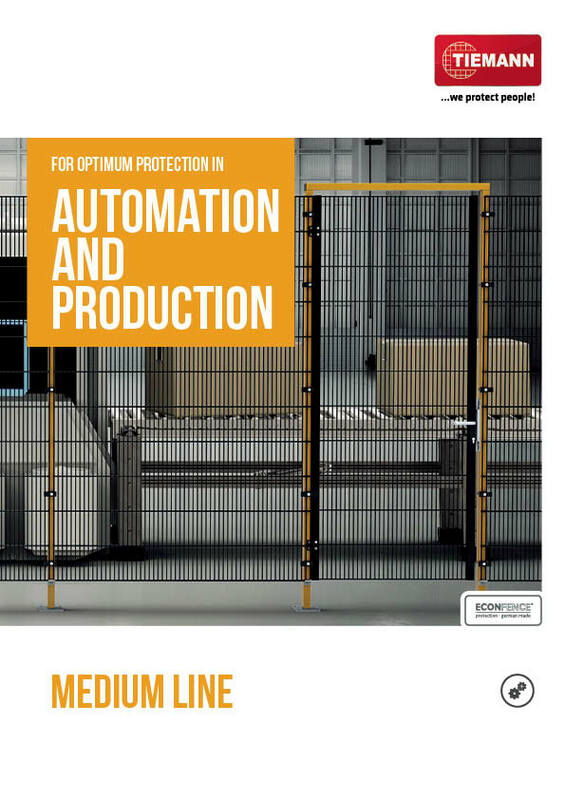 Because as a manufacturer and supplier of innovative and high-quality protection and separating grid systems, we concentrate on creating superior benefits and the competitiveness of our customers! For us, lasting customer satisfaction and cooperation based on partnership is our top priority. Through our high standards, we want to continuously expand our market position and thus achieve sustainable growth!